Plot: In a lively remake Jaime Foxx plays pseudo dad to abandoned Annie, rescuing her from a hard knock life with foster guardian Miss Hanigann as she searches for her parents. Entertaining with a feel good factor but doesn’t quite measure up to the Annie legacy. It’s an Annie with mobile phones, twitter, movie premiers and helicopters. A far cry from where either of the previous renditions has ever taken the audience. In this remake Director Will Gluck seems to swing back and forth between rehashing the old story by sticking to some of the slightly out-dated themes and creating a world which seems to lack the spirit of the Annie story. Old songs don’t fall as seamlessly into the plot as any of the previous films making some musical numbers seem slightly forced. Occasionally, however, Gluck does strike the chord just right; Never Fully Dressed Without a Smile takes on a new musical tone that’s crisp and vintage but with a fresh twist. Casting is also a hit and slight miss. Jamie Foxx is perfect for the role of moneybags Stacks, a career obsessed millionaire driven by professional ambition until his heart is change by Annie’s cheeky wit and charm. 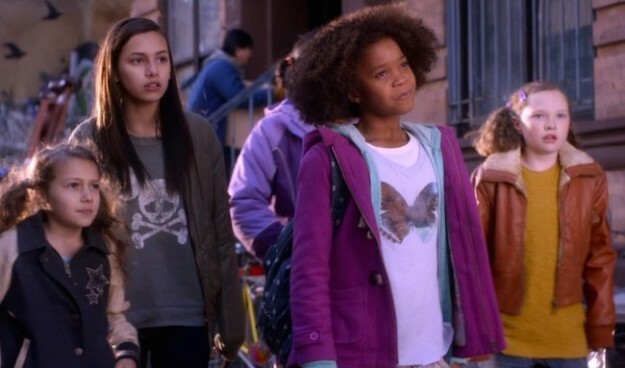 That being said whilst Quvenzhané Wallis’ adorable face and head full of curly hair matches the long held perceptions of what it means to be Annie her interpretation of the role is too mature for the most part and lacking in wide-eyed innocence. Though slightly shaky, Wallis’ version is, however, likeable and her vocals without fault. On the other hand Cameron Diaz delivers a cracking performance offering something no Annie has ever given audiences before, a Miss Hannigan with a heart. A nod to the composer Charles Strouse and lyricists Martin Charnin. The musical score is an interesting mix of old and new and though the two don’t quite mesh in synchronicity there are some catching, upbeat and touching numbers that are very enjoyable in their own rights. Verdict? A fine movie with many enjoyable moments and burst of great scenes that doesn’t quite hit the spot.